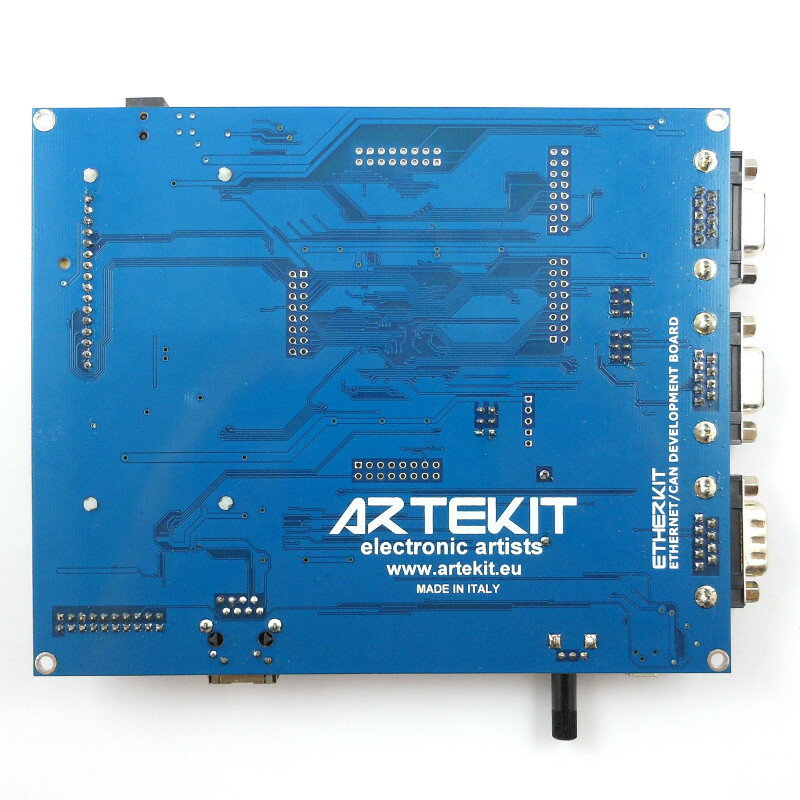 The AK-STM32-ETH is a development board with a high-end Cortex M3 microprocessor plus Ethernet, display and microSD. 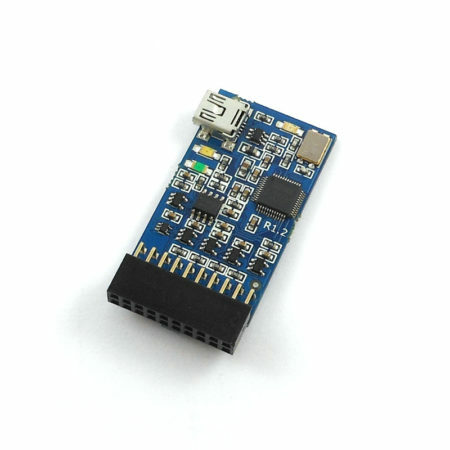 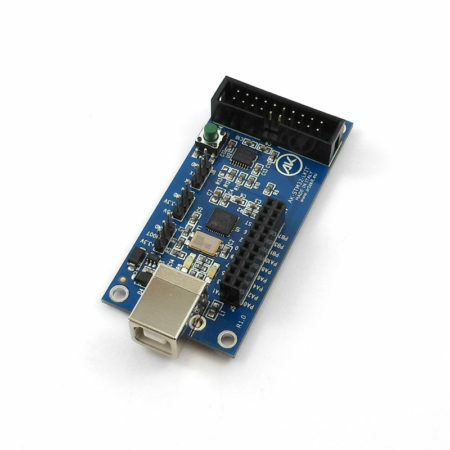 It is based on the STM32F107 Connectivity Line from STmicroelectronics. 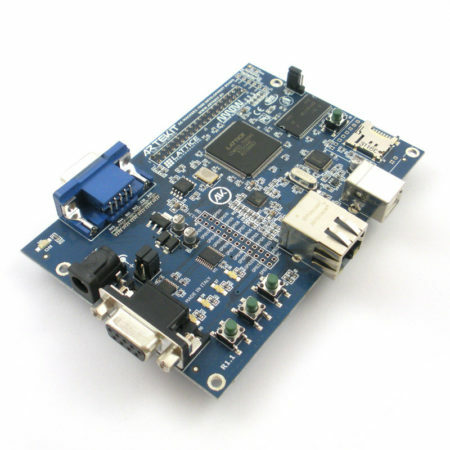 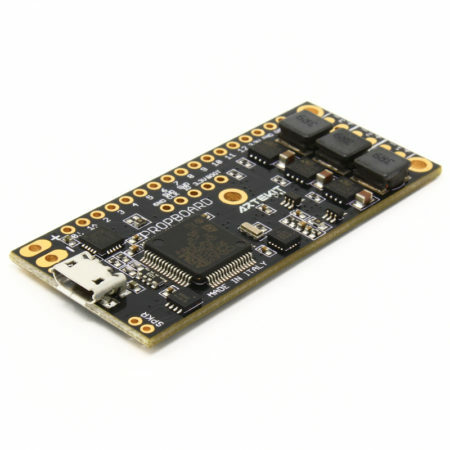 This full-featured board supports Ethernet, CAN, USB and RS232/485 connectivity, and enables you to create very complex applications, like FTP and HTTP servers using the SD as file system, to interconect CAN devices. 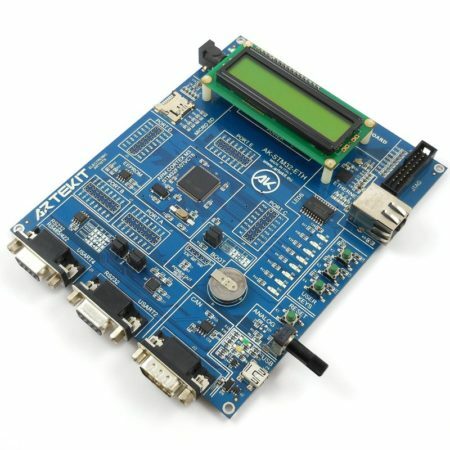 The possibilites are endless. 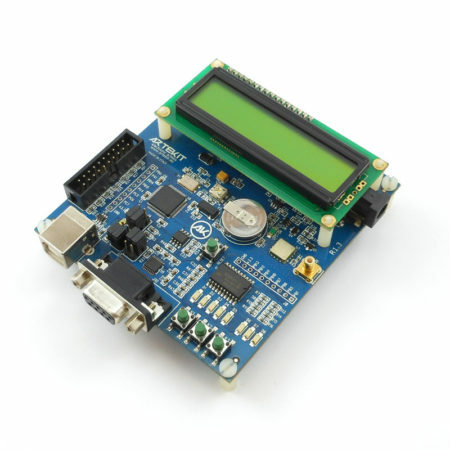 It has an analogical trimmer, a microSD slot, a dedicated EEPROM memory and a 16×2 character LCD screen. 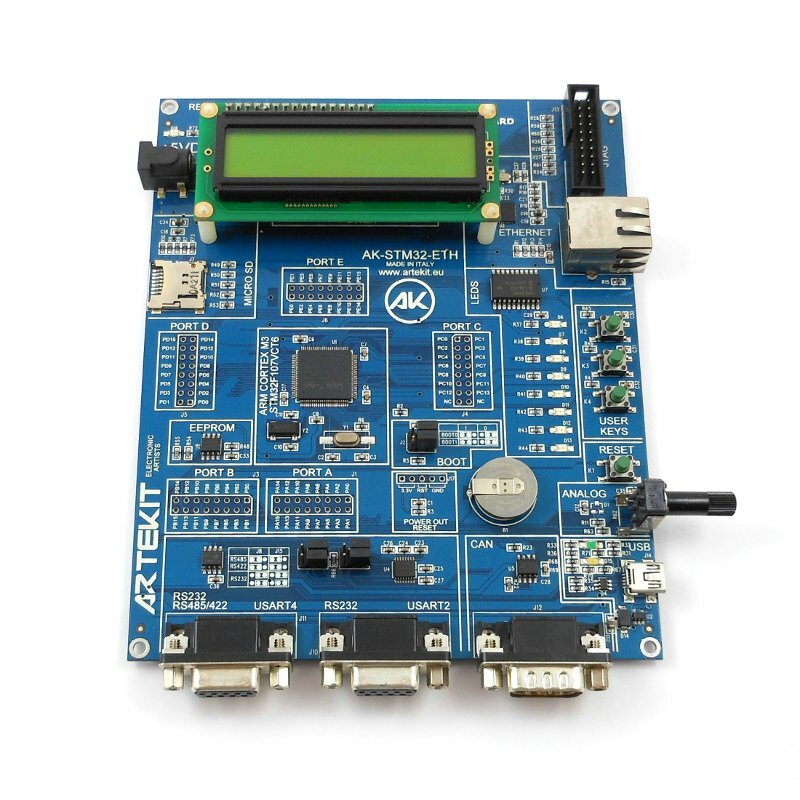 This development platform is perfect for students, hobbyist and professionals.